Dial watched some of the O.J. Simpson murder trial almost every day it was televised and began creating artworks about the trial and events preceding it. 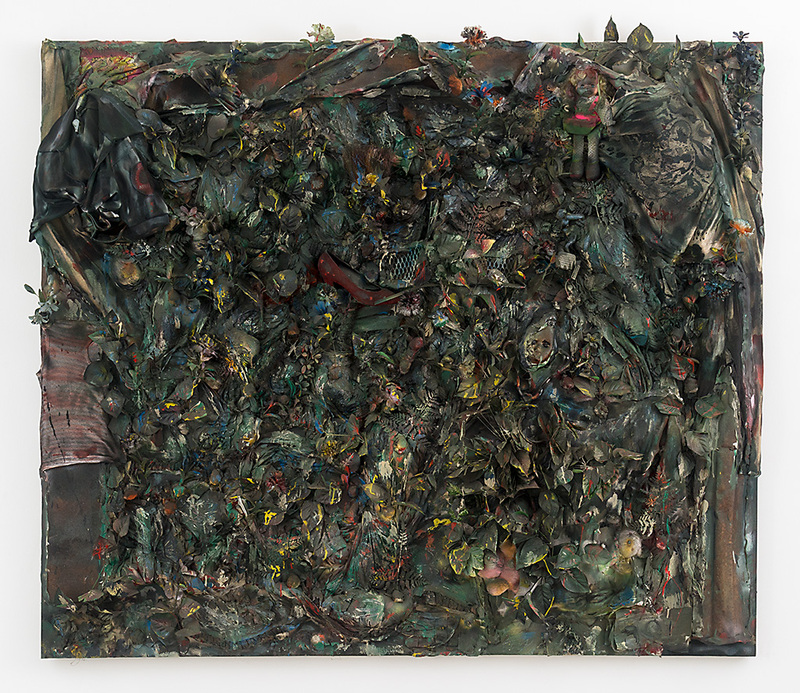 "The Color of Money" consists of six sculptures and two assemblage paintings, all dollar green, about the commercialization of Simpson's plight. The last major work of the series was Jungle of Justice, Dial's play on the Garden of Eden. In this work, the courtroom players and the victims are represented by goods. Careful scrutiny of the work's encrusted surface reveals a red shoe, a blonde doll, a small toy car, a glove, a man's undershirt of the type known colloquially as a "wife-beater," a towel with a picture of a tiger (Dial in his role as TV viewer), and references to wounds and blood, funerals, and Judge Ito and the police (a football referee's shirt and whistle).